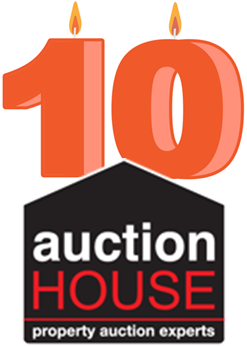 Auction House is celebrating its 10th anniversary! The award winning Auction House has grown to become the largest residential property auctioneer in the UK in terms of lots sold. Since its launch in July 2007 it’s sold over 20,000 lots – 20,516 to be exact! It’s held 1,415 auctions across the UK with an impressive success rate of 78% and raised more than £2.3bn! Auction House has won Gold in The Negotiator Awards 2016 for Franchise or Network Group of the Year. The judges said “This organisation is doing a great job, taking on good quality members and leading the field!” And we couldn’t agree more, we’re very proud to represent Auction House for the Leicestershire county. Roger Lake said, “We are now the auctioneer of choice in many parts of the country. Our results show that we have a strong team delivering a top-level service to our sellers and buyers. We’re committed to keeping our title of the UK’s number 1 Auctioneer and are looking forward to the next ten years.” As are we Roger! Our in-house property auctioneer aka Readings Managing Director Peter Woodthorpe commented: “We congratulate Auction House on its 10th anniversary and we’re proud to be a part of its spectacular achievements. We’re delighted to work with a company that understands the value of local knowledge and we look forward to working with them long into the future.”. 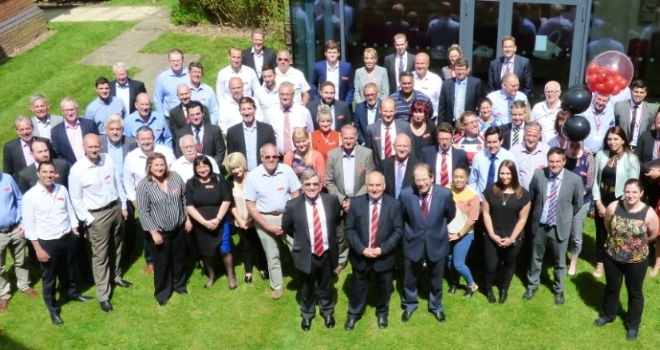 The 10th year anniversary conference was attended by over 100 delegates including our very own James Court, Will Ravenhill and Peter Woodthorpe – can you spot them? (Clue: look to the left). We’re happy to boast a success rate of 75% of our 2017 auctions so far, raising over £2.7m! With two auctions remaining for this year, we’re still moving forward to sell local lots to local buyers. If you’re looking to buy or sell at one of our auctions, please do drop us an email: auctions@readingspropertygroup.com.